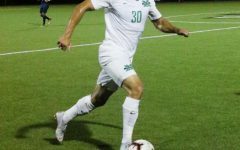 The Marshall Thundering Herd men’s soccer team fell short to the No. 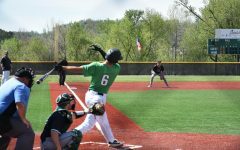 17 Wright State Raiders 3-1 Tuesday at Hoops Family Field. The loss brought Marshall to 5-8-2 (1-3-1 C-USA), while Wright State improved to 12-1-2 (5-0-1 Horizon) for the 2018 campaign. 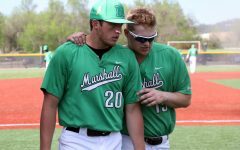 Marshall head coach Chris Grassie said while the team fought hard, he attributed the loss to his squad’s lack of persistence. “An amateur could say they need to concentrate a little more here, fight a little more after they score, and not give away silly little goals,” Grassie said. 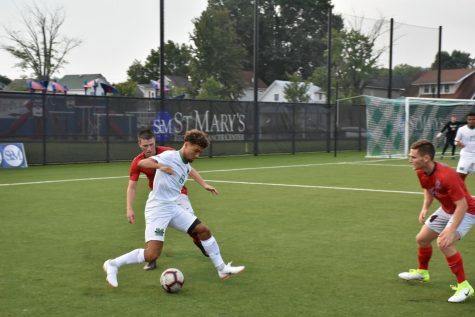 Wright State struck first in this non-conference matchup, when junior midfielder Deri Corfe sent a shot past the Herd’s senior goalkeeper Ben Martinez in the 28th minute. Corfe’s eighth goal of the year gave Wright State a 1-0 lead that it took into halftime. Marshall fought to erase the one-goal deficit in the second half. 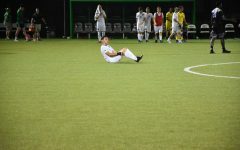 Eventually, Marshall did so in the 71st minute when freshman midfielder Vinicius Fernandes sent a shot past Wright State junior goalkeeper Joel Sundell to tie the game at one. Fernandes’ equalizer was his second goal of 2018. 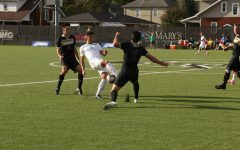 He was assisted by freshman forward Kelan Swales and sophomore midfielder Pedro Dolabella. Grassie said that after Fernandes’ goal, Marshall’s mentality changed. 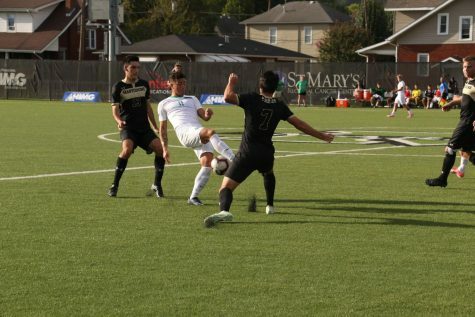 The match wasn’t tied for long and Wright State immediately went on the attack following the goal from the Herd. Just three minutes after Marshall’s lone goal of the contest, Wright State junior midfielder Jackson Dietrich sent a free kick past Martinez and into the back of the net to give Wright State a 2-1 lead. It was Dietrich’s fourth goal of the year. 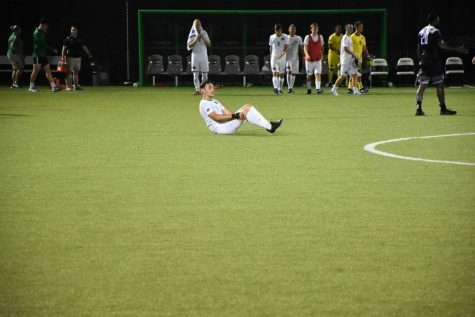 Wright State did not concede the lead for the remainder of the match. 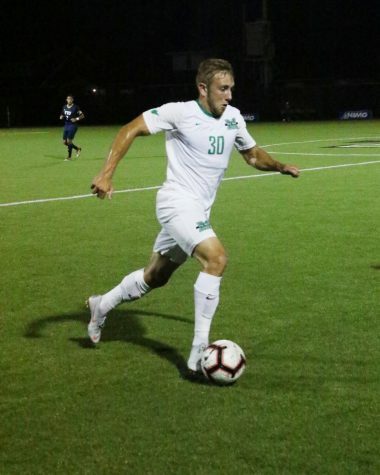 The Raiders strengthened their lead by adding another goal in the 86th minute, when sophomore midfielder Brayden McNitt capitalized on Marshall’s misalignment to bring the match to its final score of 3-1. Marshall is in seventh place in the Conference USA standings following the loss. 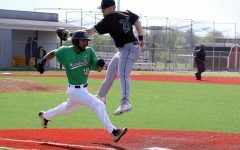 If the Herd maintains at least a seventh place standing for the rest of the season, the Herd will qualify for the C-USA Championship Tournament. 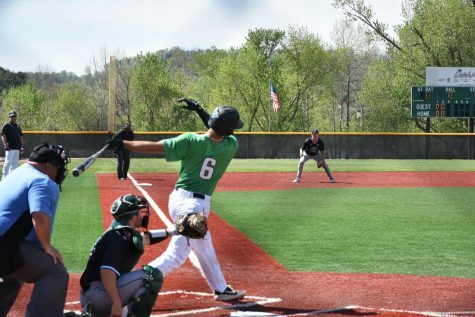 The Herd has three in-conference games remaining in the regular season. Marshall will hit the road for its next contest against the New Mexico Lobos on Saturday at the UNM Track & Field and Soccer Complex in Albuquerque, New Mexico.